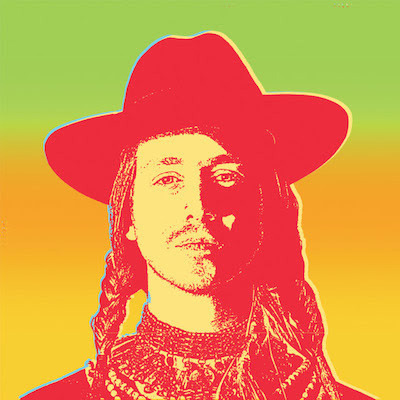 Since his debut album accompanied with his stoner aesthetic, a lot has changed in the world of Asher Roth and now he returns with his long awaited sophomore effort RetroHash. Readers will know how much of a fan I am of Mr Roth and this is one of the albums I’ve been awaiting since I’d finished listening to Asleep In The Bread Aisle for the millionth time. RetroHash is very different, yet absurdly familiar. Produced by Blended Babies under Roth’s watchful eye, the production is more mature and is much more fitting to Roth’s persona. It’s toned down, minimalist, backed up by snares and a cement-like baselines that solidify the tracks with more conviction and execution. Lead single Tangerine Girl is such a contrasting track to the likes found on Asleep In The Bread Aisle, a progressive song powered with dreamy vocals leads to a Roth middle eight, which is then topped off with a outro of drums and plucks of a bass guitar. Roth’s ability to craft an album is still sketchy and there’s a lot of jumbled tracks; once he starts rapping it’s plain sailing and there’s so much to appreciate, but it seems that he’s trying so desperately to move away from his previous work, that what results are some odd musical outcomes, like the autotune-esque hook on Pull It. However, Asher Roth’s lyrics are still on point, best made evident on stand out track Something For Nothing, a song backed up with 80s funk guitars, it’s the perfect representation of what Roth is trying to achieve with his sophomore; ‘Hardest part is she barely talks. And a kiss, eyes wide as the sky is tall’. Fast Life is a further highlight of RetroHash; potent lyricism, a great guest spot from Vic Mensa, well utilised vocalisations on the chorus, subtle production, it’s all there. Following strongly, Last of The Flohicans’ production reminds me of The Black Keys’ blues guitarsand with further lyrical credibility Roth is well into his flow. It took me three of four listens to appreciate RetroHash, it’s a solid effort from Asher Roth and I enjoyed it. All the pieces are there, the talent’s there, the thought it there, I’m just not 100% sure he’s/it’s quite there yet. Maybe third time lucky for Mr Roth.